Unless businesses get off the sidelines and work proactively with academic institutions in preparing New Jersey’s future workforce, they will continue to struggle to find the talent they need to compete in today’s high-tech business environment. 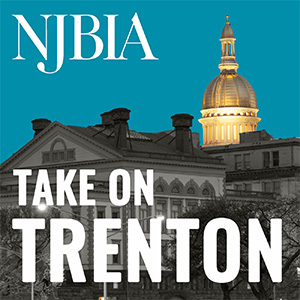 That was the message delivered at a recent symposium hosted by NJBIA and Mercer County Community College (MCCC) that explored how to leverage public-private partnerships between academia, government and businesses to bridge the skills gap—the great divide between the skills employers want and the skills jobseekers actually have. 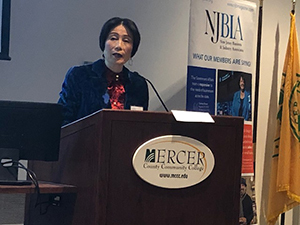 Dr. Jianping Wang, president of Mercer County Community College, urged business leaders to partner with academic institutions to build a highly skilled workforce pipeline. The “old-world view,” where colleges create the workforce and businesses rely on recruiters to find the talent, no longer works in today’s marketplace, Bajwa said. The evidence of that is found in the “negative unemployment rate” in many industries, including information technology, cybersecurity, biotech and others that cannot find enough talent to fill all their open positions. Bajwa said his IT company’s biggest obstacle to growth wasn’t finding new clients, it was finding employees in the U.S. with the skills to do the work those clients needed. That’s why Bajwa agreed to partner with MCCC President Dr. Jianping Wang a few years ago to create the Domain Tech Academy, recently rebranded as Apprentice IT, which provides MCCC students with a paid opportunity to enter the workforce and be trained by industry professionals while still working toward their degrees. Bajwa helped MCCC modernize its IT curriculum and the new apprenticeship program provides the marketplace with freshly graduated, highly trained IT professionals with the skills to do the job the day they are hired. Many are working at Domain Computer Services today. Bajwa urged business leaders not to talk themselves out of getting involved in this type of public-private partnership because they think it will be too difficult to get started, too costly, or too cumbersome to sustain. State programs can help subsidize the cost a business incurs paying apprentices during the training period when skills are not yet sufficient to provide work of value to that business, he said. Judy Savage, the executive director of the New Jersey Council of County Vocational-Technical Schools, pointed out the Career and Technical Education Bond Act approved by voters last fall will make hundreds of millions of dollars available for programs to develop a highly skilled workforce pipeline. “Every project that is approved for funding will need employer partners,” Savage said, noting the initiatives will also foster greater partnerships between county vocational schools and county colleges. “The level of state support for this is really unprecedented, with the state picking up 75 percent of the cost of this investment,” Savage said. “So from a business perspective, here’s a tremendous opportunity to get in at the ground floor to help shape new programs that are specifically conceived to meet the needs of New Jersey employers. “If you’re an employer who is thinking about needs, and you haven’t engaged in conversations yet with your county vocational school, I would urge you to do so and I would be happy to help you make those connections,” Savage said. Dr. Wang noted the innovation economy has transformed people’s lives and the way businesses operate around the world. To be relevant, academic institutions must become the engine that drives regional economies through the partnerships they forge with the business community, she said. Where will the people come from to do the physical work? Where do I find hourly employees that never get laid off and are paid above minimum rates. For over 20 years I have never been able to grow because I’ve unable to hire enough employees. The illegal group is most likely the only source. Think house cleaners, lawn workers, etc.